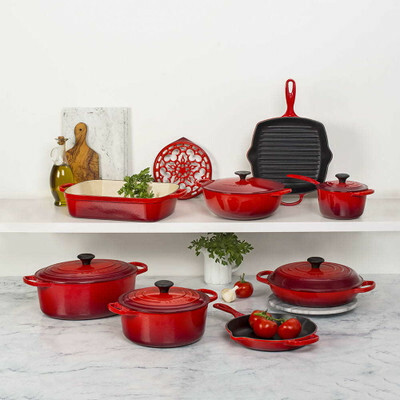 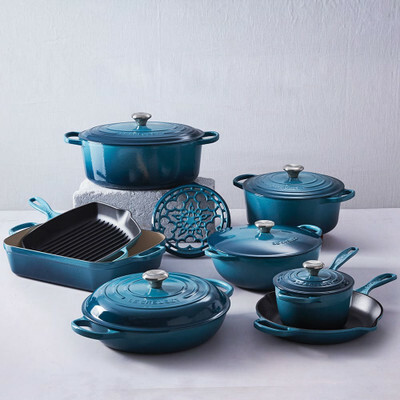 Recognized worldwide as an iconic manufacturer of cast iron cookware, Le Creuset has expanded over the decades to offer a broad range of cookware and serveware in a variety of materials and colors. 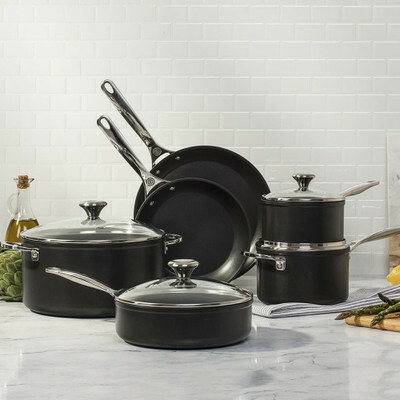 Choose from classic pieces of cast iron such as braisers and Dutch ovens, or explore innovations such as woks, crepe pans, and Dutch ovens with grill pan lids. 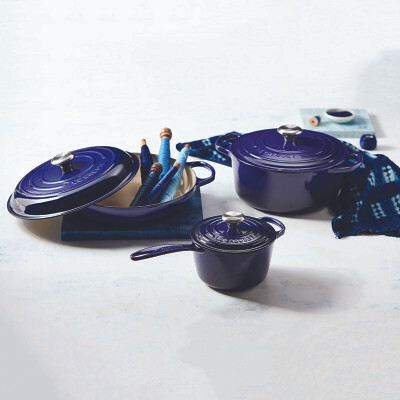 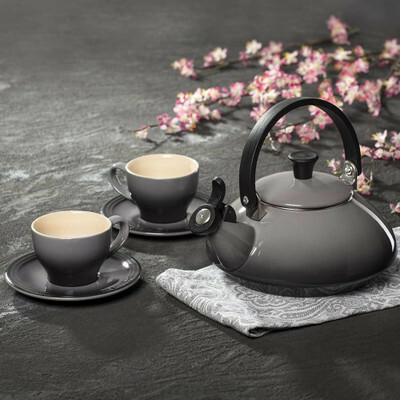 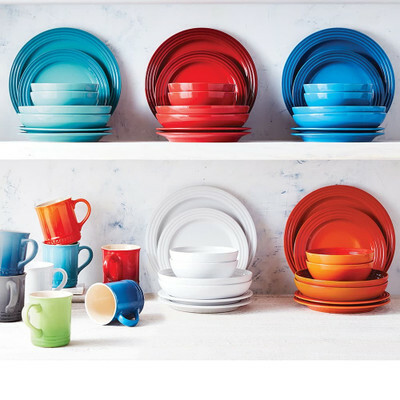 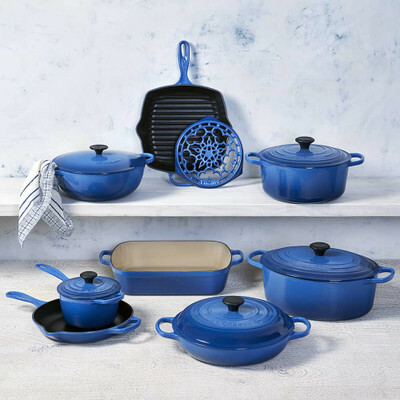 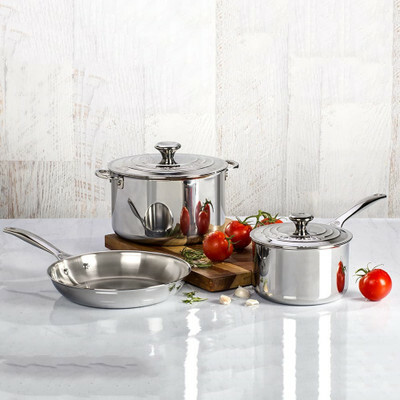 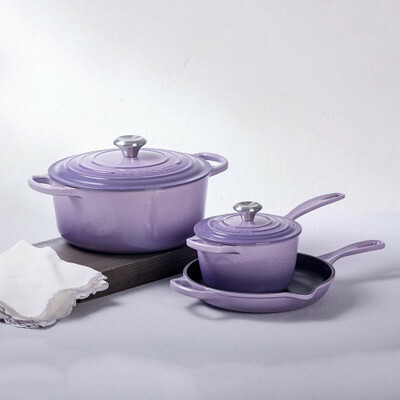 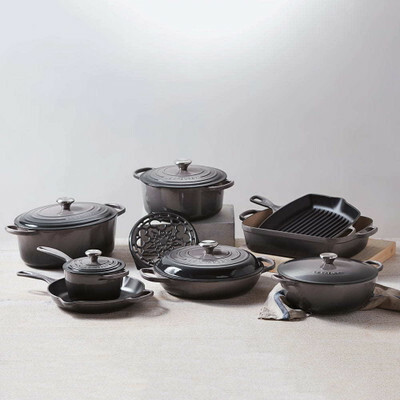 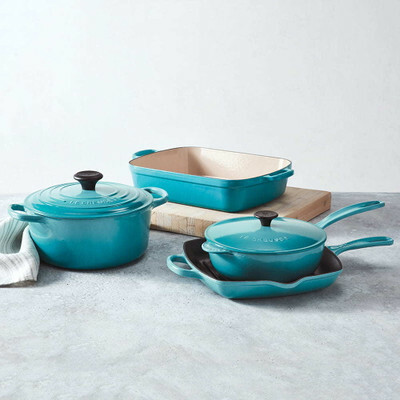 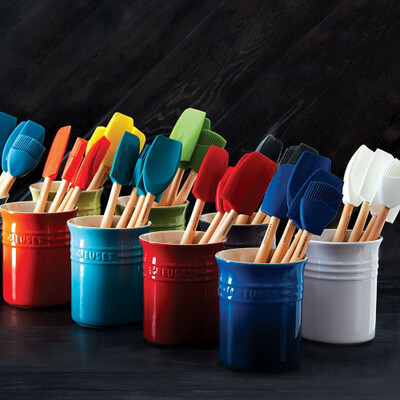 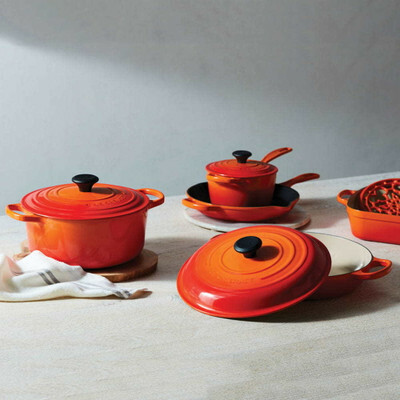 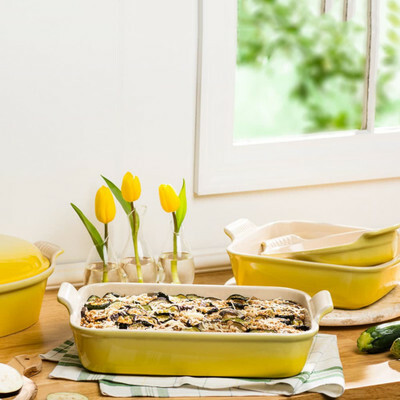 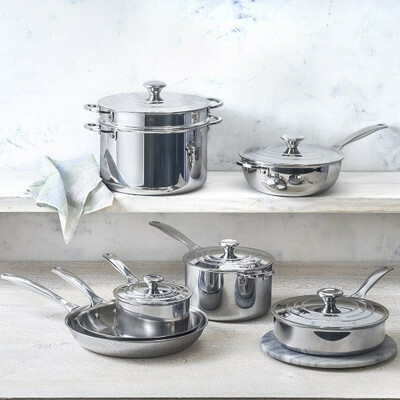 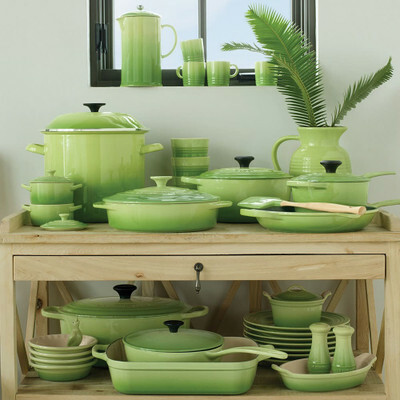 Le Creuset also offers individual pieces and sets of stainless steel and toughened nonstick cookware, plus dinnerware and bakeware made from glazed stoneware. 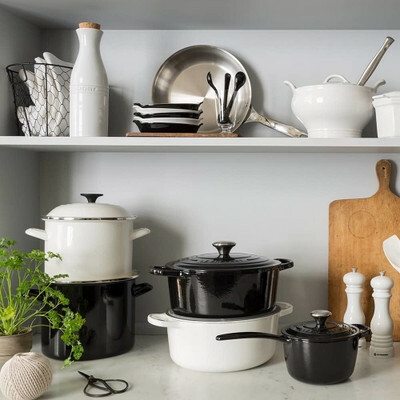 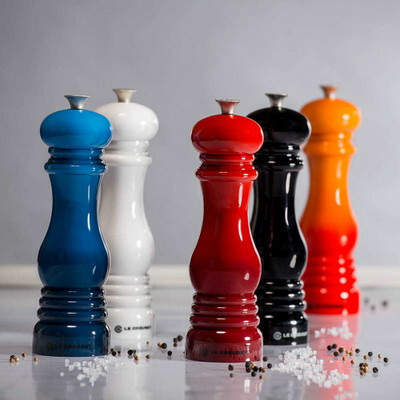 Put the finishing touches on your kitchen accessories with Le Creuset salt and pepper mills, tea kettles, and French presses in their ever-expanding palette of colors.